Offices and commercial premises provide the perfect place for feral pigeons to land and nest, providing high, flat spaces for them to live safely. 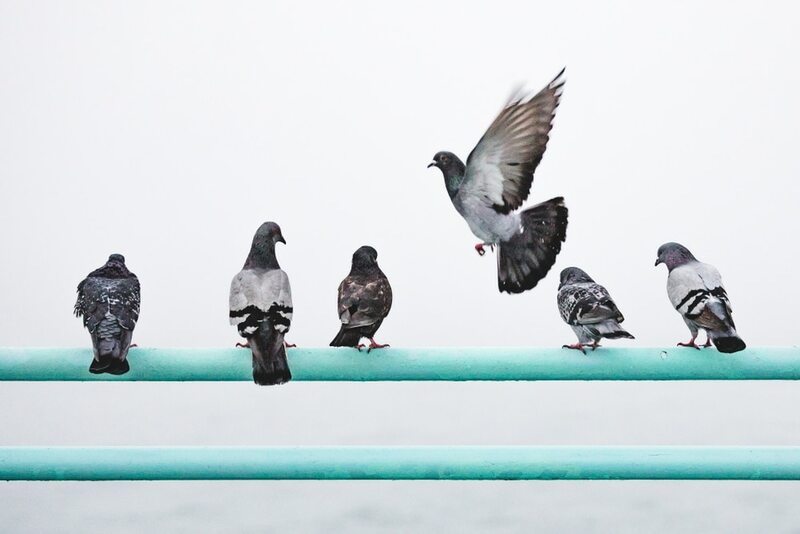 Creatures of habit, pigeons are loyal to their nesting sites and can be regularly found on window ledges, balconies, roofs and even external air conditioning units. A study in 2011 on London pigeons, estimated that, at that time, there were a staggering 850,000 pigeons taking over large swathes of the city. Not only do roosting feral pigeons cause unwanted damage to property, causing blockages with feathers, twigs and other debris, their droppings, often found outside eateries and retail outlets, are unsightly and unhygienic for patrons and employees alike. Harvey Environmental is an expert in dealing with the removal of pigeons or other birds contaminating your business and does so under the guidance of the Wildlife and Countryside Act 1981. We understand how to safely remove the nests of pigeons and other pest birds from your premises and the measures you should put in place to discourage them from making your business their home in the future. Speak to us about your pigeon, or other pest bird contamination today.